Boxing News for boxing fans. views, opinions, results, rankings, interviews, videos - Get all the latest Boxing News at topboxing1.blogspot.com. Floyd Mayweather Jr. has beaten Saul “Canelo” Alvarez and Robert Guerrero in his last two fights, and both of which were one-sided affairs that were largely boring to watch for fans. These guys were highly rated, yet the fights still ended up with Floyd Mayweather easily winning them. That’s where the argument for Khan comes in. Win or lose, Amir always comes to fight, he’s very exciting and has a massive hard throwing variety of combinations. He also possesses a suspect chin, so basically anything can happen. 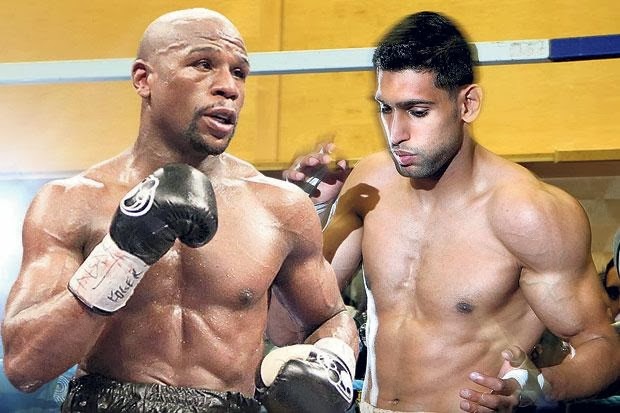 At least we can see Floyd Mayweather knocking out an opponent or Mayweather on the back foot taking punishment for a few round against Khan before he turns it around and tops him. There is also talk of Maidana fighting Floy. This fight is more of a farce than any. Marcos Maidana has just beaten in my eyes a light welterweight in Adrien Broner from last month. When Maidana faced Khan in 2010, he got dropped and out-boxed until the tenth round when he was able to hurt Khan with a jarring right hand. Do you really think Foly Mayweather will get hit and hurt like Khan did in the 10th? Maidana also has also loss to Devon Alexander at 147 from last year in February. Alexander was just beaten by Shawn Porter and lost his IBF welterweight title in the process. Porter has a draw and a victory over Khan’s last opponent Julio Diaz. Fighters like Tim Bradley and Pacquiao deserve the fight against Mayweather more than Khan, BUT FORGET THEM; Mayweather will never fight a Bob Arum fighter. He’s made that clear recently. So we have to look at Golden Boy fighters like Amir Khan or Maidana. Shawn Porter is still largely an unknown fighter, who will need more high profile fights before he’s ready to fight someone like Floy Mayweather. Paulie Malignaggi isn’t ideal for Mayweather either A rematch between Victor Ortiz and Mayweather is out of the question. Please. I think the majority of the fight fans would agree with me that if we could choose we would pit Floy Mayweather with Ruslan Provodnikov. I had Provodnikov beating Tim Bradley last year. Boxing is a business as well and Amir Khan arguably brings more viewers than the rest of the guys that Mayweather can fight, like Marcos Maidana or Danny Garcia for his next bout on May 3rd. Just like Carl Froch and Ricky Hatton had the country of England behind them in their fights against opposition from the United States. Amir Khan has a lot of fans in the UK that will be backing him. Khan (28-3, 19 KO’s) is saying that he’s already signed the contract to fight superstar Mayweather Jr. (45-0, 26 KO’s) on May 3rd, and he’s just waiting for Mayweather to sign his part of the contract. Khan is reportedly frustrated that Mayweather hasn’t already signed because he wants to get ready for the Las Vegas based fight. The fact that Mayweather hasn’t signed the contract yet suggests that he may be having second thoughts about fighting Amir Khan now that Marcos Maidana has emerged as an appealing option for Mayweather’s next fight following his victory over the fighter that emulated Floyd Mayweather, Adrien Broner. A lot of boxing fans will feel disappointed and let down if Floyd fights Khan because it’s a fight that would be considered a straight up mismatch due to Khan’s recent struggles in the ring with him going 2-2 in his last four fights. That’s not the type of opponent that Mayweather typically fights. He would be taking a step backwards if he were to fight Amir Khan at this point with him still not having redeemed himself following his losses to Breidis Prescott, Lamont Peterson and Danny Garcia in the past. Khan did himself no favors by not fighting those guys again because enough time has gone by to where he would very well have faced each one of them. Mayweather vs. Maidana is a fight that would likely interest a lot of fans in the U.S, as well as other parts of the World. Maidana has captured a lot of boxing fans with his win over Broner, and Mayweather would be able to take advantage of Marcos Maidana’s new surge of popularity. The Fight of the Year for 2013 came down to two rousing 12-round boxer-slugger confrontations for the fans who voted in RingTV’s year-end awards poll. Marcos Maidana’s hard-fought but clear-cut unanimous decision over Broner, garnered 32.9 percent of 1,300 votes, but was outdone by Tim Bradley’s narrow unanimous decision over Ruslan Provodnikov, which took in a little more than half (51.1 percent) of the votes. Both fights featured undefeated American boxers defending their world welterweight titles against rugged, hard-punching foreign-born challengers. And both fights exceeded the expectations of the boxing media and most fans as the heavily favored Americans found themselves at the wrong end of fearsome early round onslaughts from their underdog challengers. 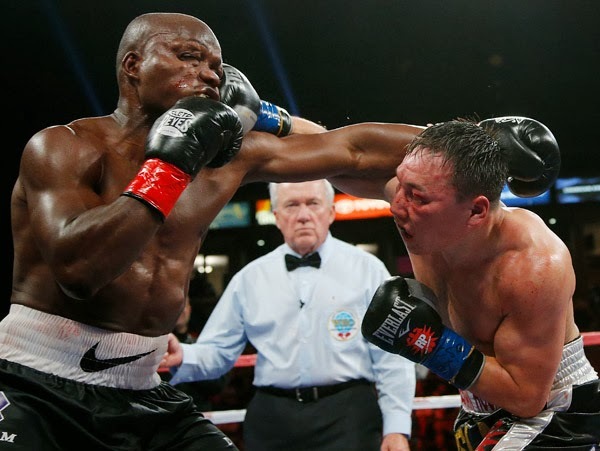 With the victory, Timothy Bradley proved that he belongs among the sport’s elite. Meanwhile, Provodnikov Ruslan proved that he belongs on the world-class stage. Together, they combined to give boxing its Fight of the Year. For a big mega fight between Pacquiao and Mayweather Jr. to happen, Manny Pacquiao may need to change promoter, says Showtime President of Sports Stephen Espinoza. Under the current situation, Espinoza doesn’t see the Pacquiao-Mayweather fight taking place with Pacquiao being promoted by Bob Arum of Top Rank. If Pacquiao wants the fight with Floyd, or have the chance for the fight to take place, he’s going to need to not automatically re-sign with Arum when his contract is up with Top Rank in 2014. Asking Manny Pacquiao to not re-sign with Top Rank might be expecting too much from the Filipino, because he’s been loyal to Bob Arum and Top Rank all these years, and it’s hard to see him turning his back on them just because he could arguably make a ton of money against the likes of Floyd Mayweather Jr, Saul Alvarez, Amir Khan, Broner and Danny Garcia. You did notice how Espinoza said “until Manny Pacquiao changes his promotional representation,” didn’t you? Espinoza is assuming that Pacquiao will want to change promoters when his contract with Top Rank expires next year. I really don’t think Manny Pacquiao will change promoters. He had the chance already, and he keeps re-signing with them. Why would Pacquiao decide to move on now after all this time? I don’t think he will. 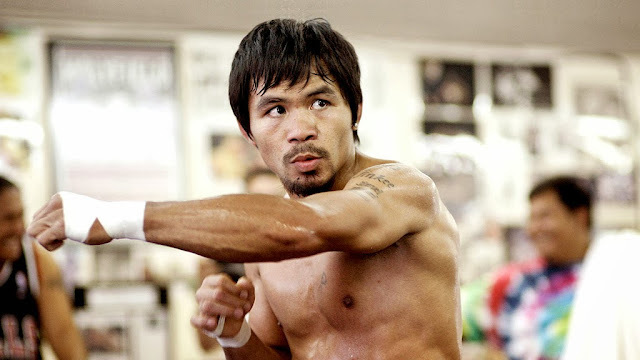 I think Pacquiao will stay with Bob Arum until the bitter end, fighting the likes of Brandon Rios, Mike Alvarado, Ruslan Provodnikov and Tim Bradley for the remainder of this career. I’m not sure how many times he can fight each one of these Top Rank guys before the public totally loses interests in watching his fights, but I think we’re going to find out. If you read the boxing forums, many of Pacquiao’s fans like the fact that he’s staying with Bob Arum. They see this as loyalty and they admire him for it. I’m not sure if it’s the smart thing or not, but Manny Pacquiao does seem to be loyal. He did let Alex Ariza go recently on the advice of trainer Freddie Roach, but that was a rare instance for Pacquiao where he made a change in his team. It would be a lot harder for him to walk away from Bob Arum than Alex Ariza, because with Arum, Pacquiao would need to speak with him one on one, and I’m not sure that he would say no to the 82-year-old promoter if he asked him nicely to please re-sign for another 2-3 years with Top Rank. Showtime Sports President Stephen Espinoza says that Amir Khan is one of the main names that Mayweather. is looking at for his next fight on May 3rd. The other name is Maidana. Espinoza says that Floy Mayweather also has some other fighters that he’s looking at for that date, but he’s not saying who these guys are. Espinoza is making an understatement when he says that Amir Khan wants the fight. Amir is living and breathing the Floy fight, and it would be interesting to be a fly on the wall to see Khan’s reaction if Marcos Maidana gets the fight instead of him. Khan beat Maidana three years ago by a 12 round unanimous decision, and so you can imagine how Khan would feel if a guy he beat gets the fight against Floyr instead of him. But Mayweather probably is going to select his next opponent on the best fighter is at 147, because if he were to do that then he would select someone like Keith Thurman. Floy Mayweather will likely be making his selection on which guy will bring the most pay-per-view buys for his fight. I’m not sure if Khan is the guy to make that happen. 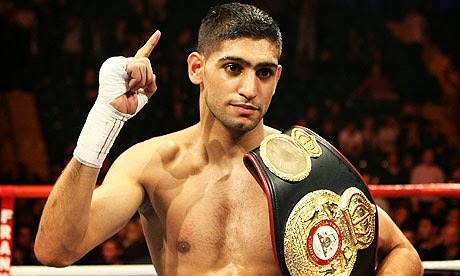 If this fight were staged in the UK without any U.S PPV money, then Khan would be the best guy for the fight. But Floy needs someone that can attract fans to purchase the fight in the U.S., and Marcos Maidana might be the better option for that purpose because Amir Khan is virtually unknown to the casual boxing fans in the U.S.
WBA middleweight champion Golovkin (28-0, 25 KO’s) is getting ready to fight an opponent he has never seen fight before in 33-year-old fringe contender Adama (22-3, 16 KO’s) on February 1st in Monte Carlo, Monaco. Golovkin says he’s never seen him fight on video, and it doesn’t look like he’s even interested in seeing any of Adama’s past fight. You can’t really blame Golovkin though, because Osumanu Adama is a guy that his promoters at K2 has selected for him to keep busy in early 2014 while he waits for more interesting fights to possibly open up for him. 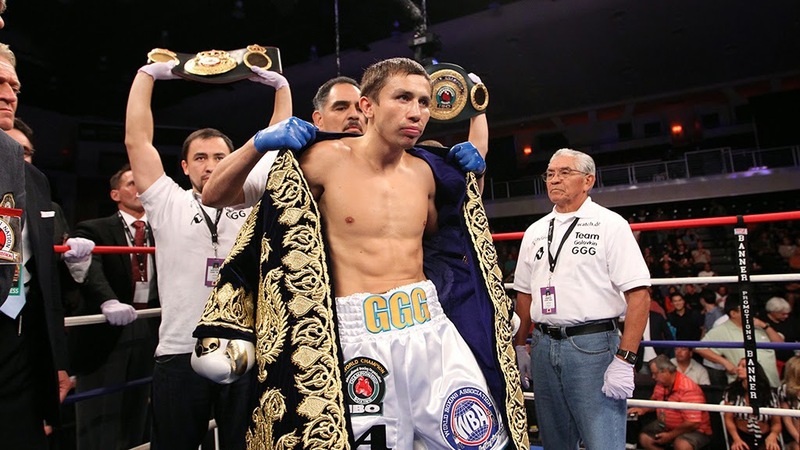 After the Adama fight,Gennady Golovkin could be facing Kirkland in April. That’s a match-up comparable to Golovkin’s recent annihilation of Curtis Stevens. James Kirkland is plenty tough, but no match for a fighter like Golvkin skill-wise. Osumanu Adama seems to be the next sacrificial lamb for Golovkin to slaughter. He’s already knocked out his last 15 opponents dating back 5 years, and Adama would appear to be number 16. The only thing that Adama has going for him is that he’s never been knocked out during his 12-year pro career, which means that Adama may end up taking a ton of punishment if he’s able to go the distance with Golovkin. It might be better if he does get stopped because if he has to eat head and body shots for 12 rounds, Adama is going to be in bad shape after this fight is over. What makes it likely that Adama won’t make it the distance in this fight is that Gennady Golovkin will go to the body, and it doesn’t matter how good Adama’s chin is in that case. He’ll go down if he gets hit hard enough to the midsection. Osumanu Adama has one notable win on his resume over Roman Karmazin two years ago in stopping him in the 9th round. Other than that win, Osumanu Adama has beaten mostly obscure opposition. Last year he fought IBF middleweight champion Daniel Geale and was easily beaten in a 12 round unanimous decision loss. Victor Ortiz (29-4-2, 22 KO’s) has an important fight coming up next month on January 30th against Luis Collazo (34-5, 17 KO’s) at the Barclays Center, in Brooklyn, New York, USA. This is a tune-up bout for Ortiz scheduled for 10 rounds and not 12. 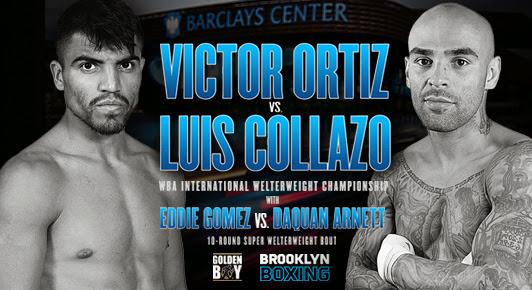 Like his last fight a year and a half ago against Lopez, Ortiz is expected to win this one against Luis Collazo. The worry here is that if Ortiz can’t beat Luis Collazo, and if he gets beaten or if he quits yet again, for whatever reason, his boxing career may be pretty much done as far as him being a relevant fighter. Ortiz quit against Lopez, Maidana and someone say in his fight against Lamont Peterson when faced with adversity. Victor Ortiz suffered a broken jaw in the Lopez fight last year in June. But Ortiz was having problems in that fight long before his jaw was broken, as he was getting nailed frequently by Lopez with silly shots that he shouldn’t have been getting hit with. The jaw injury took 8 months to heal, and Ortiz could have returned to the ring in 2013 to fight, but instead he chose to be in a movie by Sylvester Stallone and take the entire year off from boxing. That right there makes you question Ortiz’s desire and love of the sport. If he’s going to be taking a year off from boxing in the prime of his career, it might not be the sport for him. Floyd. can do that kid of thing because he’s a huge talent, but Ortiz is just a welterweight contender still trying to find his place in the division. For him to take off a year, it’s not a smart thing to do, and I wouldn’t expect him to be able to quickly get back to the level where he was before. Ortiz says he wants to get the big fights against the likes of Floy Mayweather Jr. and Saul Alvarez. He was already whipped by Mayweather in a 4th round TKO loss in September of 2011, so that door is probably permanently closed no matter what Ortiz does in the next year or two. But he can get some good fights if he stays active and beats some relevant fighters. There’s talk that Ortiz could face Garcia in 2014 if he beats Luis Collazo and looks impressive in doing so. If Victor Ortiz struggles, gets knocked down or quits in the Collazo fight, then you can forget about him fighting Garcia. That’s why the Collazo fight is so important for Danny Garcia. He has to win and look good in this fight, because he can’t afford anymore slip ups at this point. 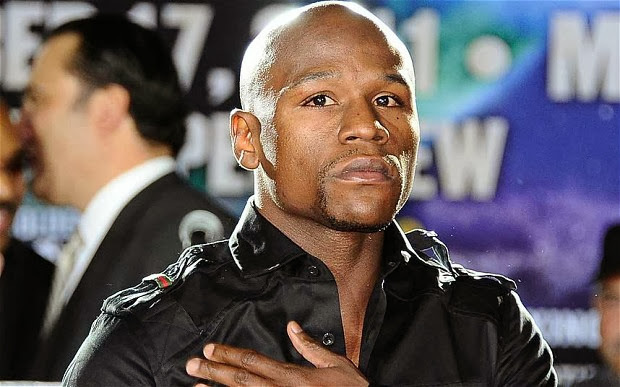 Do fans blame Floy Mayweather for Pacquiao-Mayweather fight not happening?